The Scrappy Trip Quilt Is Finished! It feels like forever since I have completed a quilt. I think I was on a small project binge for a while. So beware, this post will be picture heavy! 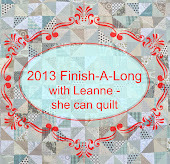 I am loving this quilt and am actually using it as I write this post! Normally when I make a quilt I am very precise and intentional about fabrics and color placement. This time I wanted to stretch myself. I didn't want to worry about color placement and I swore to myself that I would only use scraps!!! This is actually the first quilt that I have completed entirely from my scraps. For those of you who might not have heard of the scrappy trip along, it was a quilt along that started earlier this year and is based off of Bonnie Hunter's Scrappy Trip Quilt Tutorial. There have been some amazing quilts that have been made and you can see some of those in the Scrappy Trip Along flickr thread. So without further ado ..... here's my lovely! I will be honest, it was really difficult for me not to plan anything with this quilt. But I have to say that I am pleased with the final result! Have I mentioned that I love how this turned out! So there you have it! I am not the kind of quilter that makes a quilt a second time, but I would love to make this quilt again. I think it's because there are endless possibilities with color placement and the eventual design or pattern. I might have to give this another go! And thanks to Bonnie Hunter for a spectacular pattern and tutorial! 1. I need to quilt and bind my scrappy trip along quilt. I know I can finish this one. It's already basted and since I used basting spray it needs to be quilted asap! 2. The next quilt that I really want to finish this quarter is my Single Girl Quilt. I have all my pieces cut and several blocks done but there is a lot of work left to be done! 3. I really would like to finish two pillows for the Christmas season this year. I love the polar bear and penguin FPP patterns in the Pretty in Patchwork: Holidays book. They will look great on my couch! 4. I have sketched out plans for tote and I am really wanting to try my hand at writing up a pattern so this is definitely on my to-do list this summer. I have all of the blocks pieced, now I need to construct that bag and figure out how to write a pattern with the software that I have. 5. Jessi from Inside the Paper Box showed her amazing Birdie Sling at our last McKinney Modern Quilt Guild meeting. After I saw hers, I knew that I had to make my own. So I purchased some fabrics and will be starting on this project tomorrow! I want to be able to use this bag this week so I should have a quick turn around time. 6. And of course I have my sewing kit that I need to finish. This has been on my list forever! I just can't seem to get motivated to finish this. I am sure there are many more projects but I think this is a good start. What projects are you working on? Are there ever any projects that you just can't get motivated to finish? Please tell me I'm not the only one who has that issue. I'm linking up over at She Can Quilt! I totally missed linking up during the month of June but I'm back on track and have a finish that I absolutely need done before the end of July. At the beginning of the year everyone was working on the scrappy trip along quilts and I thought they were absolutely amazing. I had to many projects going on and I didn't want to start another one at that time but the quilt definitely went on my to-do list. Well over the past month, I have been working on my very own scrappy trip quilt! 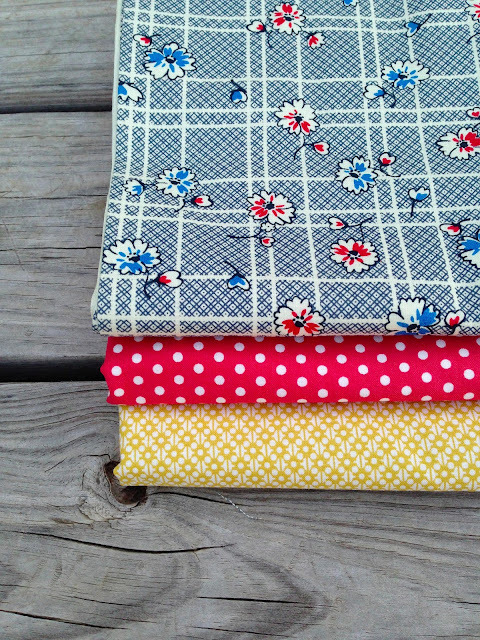 I started by pulling fabrics from my scraps. I didn't cut into any new fabric! Then I started piecing my blocks and then laid them out. I basted the quilt last week. I just started the quilting last weekend. My goal is to have the quilting done by the end of this weekend! Now I need to find the perfect binding! I linking up at Fiber of All Sorts! I can't believe we are over half way through the year! And now it's time to link up my 2nd quarter finishes. You can see my 2nd quarter goals here. 1. I wanted to finish a tote but that didn't happen. I have the fabrics cut and blocks pieced though. I just have to finish the construction. At least there was progress. 2. I did finish the QAYG pouch. In fact you can see my post about that here and there's a tutorial!. 3. Absolutely no progress on these. Ugh! 4. I was able to finish my FPP pillow! And I have to say I love how it turned out! 5. And as for the project that has been on my finish-a-long list for the past year .... still not done. There has been progress though. Maybe next quarter I will get it done.